We take great care in selecting our girls. 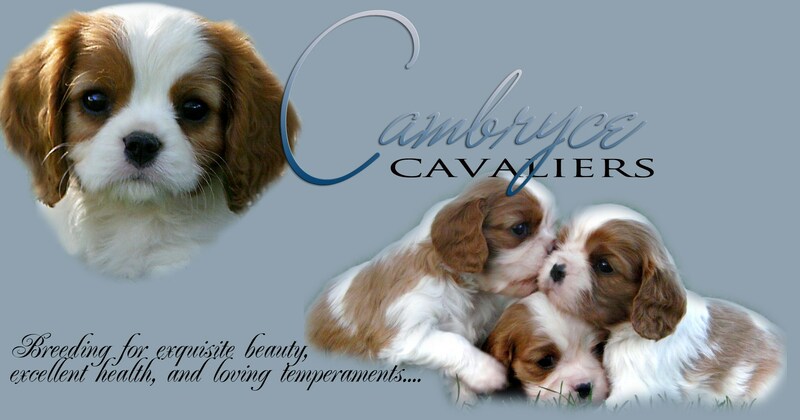 All have excellent pedigrees with champion lineage. Above all, our breeding dogs come from health tested parents, and are screened prior to breeding and vet checked annually. 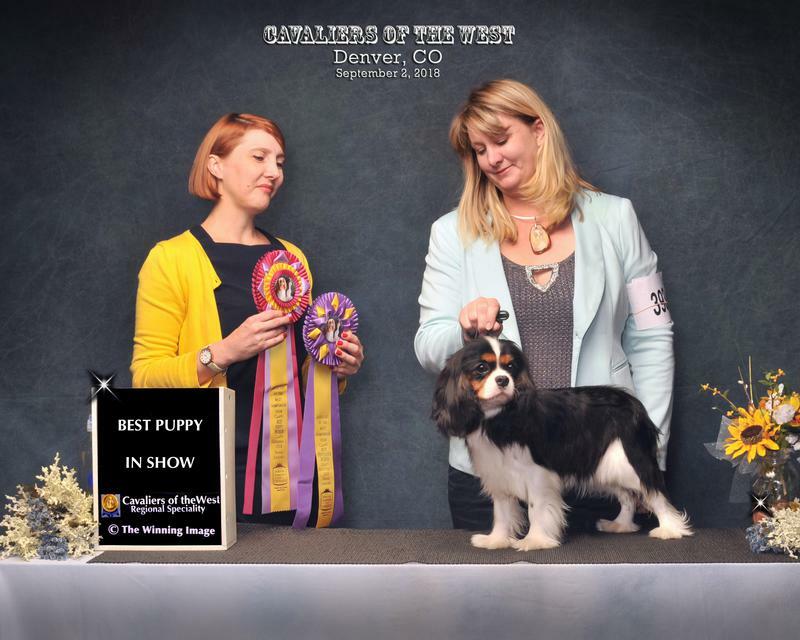 Thank you to Jennifer for the photo and showing Hailey to her AKC Championship! Hailey will return to Cambryce in 2019 after having a litter with Jennifer. 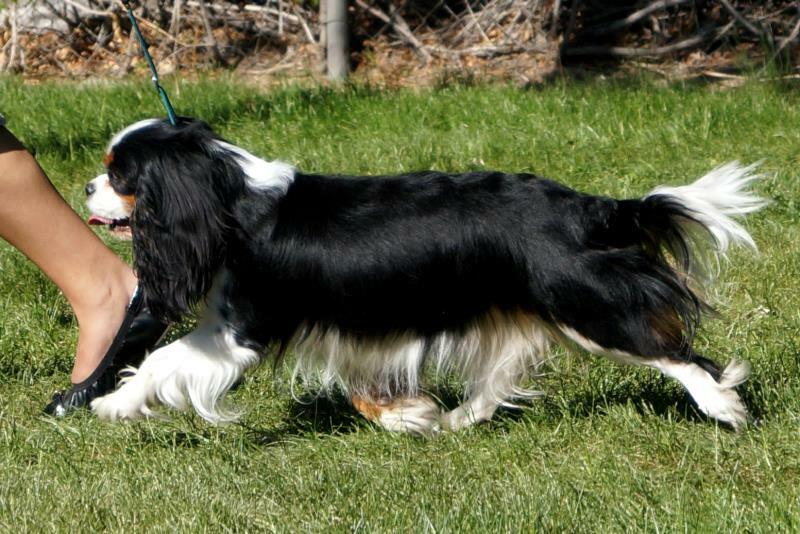 Hillary is co-owned with my dear friend Bev Hofshulte of Madee Cavaliers in Minnesota. I'm so glad we can both enjoy her silly personality and stunning good looks. 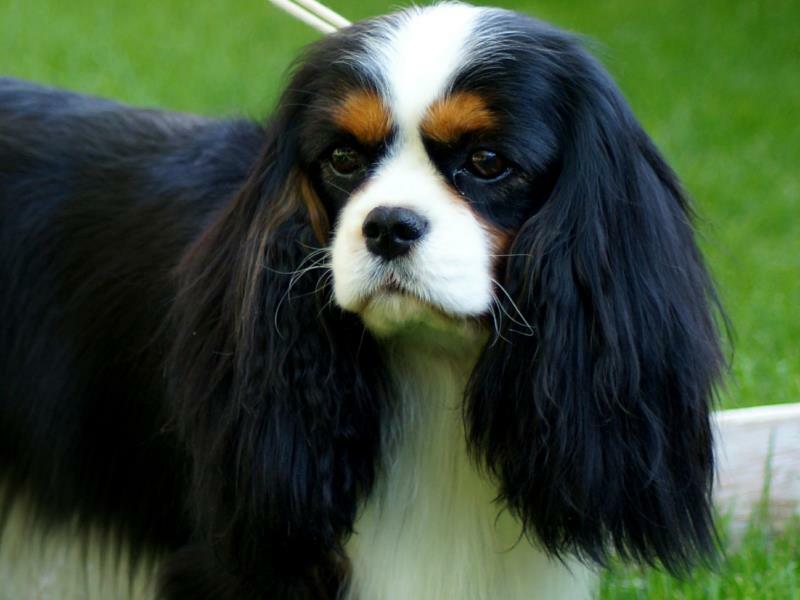 The future of our cherished breed lies in the ability to work together with other quality breeders. Thanks to Milda Busa for letting another beauty join our home. 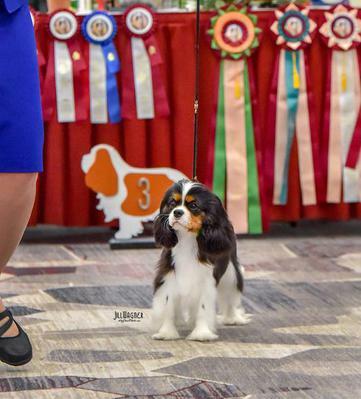 Voodoo is showing great promise at a young age with wins from the 6-9 month class in AKC and several Best Puppy in Show wins in the CKCSC-USA. We are excited to see what the future holds for this darling little girl.